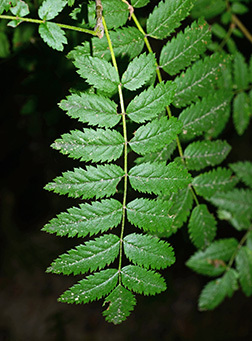 Leaf:Alternate, pinnately compound, 6 to 10 inches long, 11 to 17 lance-shaped, serrated leaflets, 2 to 2 1/2 inches long, often arching, dark green above, paler below. 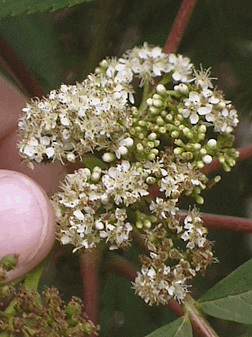 Flower:Showy clusters of small white flowers, clusters 3 to 5 inches across, appearing in late spring to early summer. 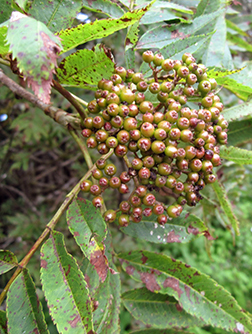 Fruit:Clusters of red, small (1/4 to 3/8 inch in diameter) pomes, showy, ripening in fall, persistent. 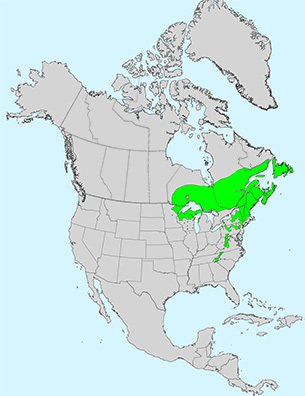 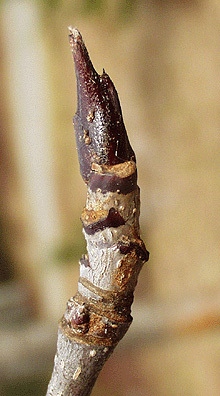 Twig:Moderate to stout, shiny gray to reddish brown, spur shoot present, leaf scars narrow, buds 3/8 to 1/2 inch long, dark purplish red and sticky. 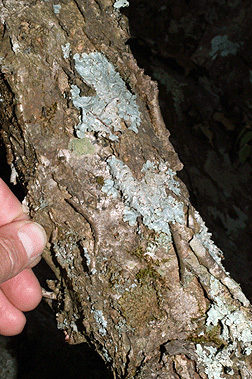 Bark:When young smooth with numerous lenticels, grayish brown, developing cracks, splits and scaly patches with age. 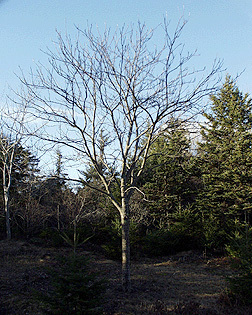 Form:A small tree up to 40 feet tall but usually shorter, crown is initially narrow, but becoming wider with age.